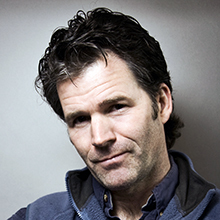 CHICAGO – 2016 ALA Midwinter Meeting attendees in Boston will have the chance to join a lively conversation between bestselling author Andre Dubus III and Nancy Pearl at an Auditorium Speaker session held from 1 - 2 p.m. on Saturday, Jan. 9. Dubus is the author of six books, including the New York Times’ bestsellers "House of Sand and Fog," "The Garden of Last Days" and his memoir "Townie." His most recent book, "Dirty Love," was a New York Times “Notable Book” selection, a New York Times “Editors’ Choice”, a 2013 “Notable Fiction” choice from The Washington Post and a Kirkus “Starred Best Book of 2013”. Dubus has been a finalist for the National Book Award. He has been awarded a Guggenheim Fellowship, The National Magazine Award for Fiction and two Pushcart Prizes and was a 2012 recipient of an American Academy of Arts and Letters Award in Literature. His books are published in more than 25 languages, and he teaches full-time at the University of Massachusetts Lowell. 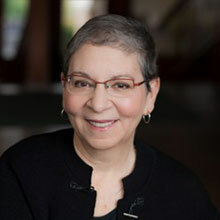 Nancy Pearl, a former librarian and author of several Book Lust and Book Crush titles, speaks frequently about the pleasures of reading to libraries, literacy organizations and community groups throughout the world. She also comments regularly on books on NPR's Morning Edition and hosts a monthly television show, "Book Lust with Nancy Pearl." She has recently worked on reprints of a dozen of her favorite novels for adults published between 1960 and 2000, called Book Lust Rediscoveries, and Book Crush Rediscoveries, a dozen reprints of long out-of-print books for kids and teens. She has received numerous honors and awards, including a Librarian of the Year Award from Library Journal, a Lifetime Achievement Award from the Pacific Northwest Booksellers Association, the 2010 Margaret E. Monroe Award from ALA’s Reference and User Services Association, the 2004 Women's National Book Association Award, a Humanities Washington Award and the Public Library Association’s Allie Beth Martin Award.